If you’re in the market for a brand-new car, you’ve got a lot to consider. Not only do you need to settle on your choice of vehicle, but most people will also decide how they want to finance their vehicle, too. After sharing our Top five SUVs for under £250 a month, one of our followers pointed out that you could BUY a car for the same price. And that’s true, an MG ZS on Hire Purchase (HP). As you can probably imagine, we’re rather big advocates of Personal Contract Hire (PCH), or leasing as it’s more commonly known, but we appreciate it’s not for everyone in every situation. Some people will want to know that after their finance agreement ends, they’ll own a car outright as an asset. So, we’ve objectively compared two choices. HP vs PCH: which one suits you? First up, we found an attractive Hire Purchase deal currently available on the new MG ZS. Why is it attractive? Namely because there’s no upfront deposit and, because it’s a traditional HP deal, there’ll be no balloon payment to worry about at the end of your agreement like there is with PCP. This mid-range 1.5-litre VTI Tech Excite ZS is available for £233 per month for a duration of five years. While PCH and PCP have overtaken HP in terms of popularity, if you want to own the car at the end of the term and not have to worry about a balloon payment, it’s the easiest way to do it. On the other hand, you’ll be responsible for paying road tax throughout your finance agreement, which in the MG’s case is £140 per year. It’s also worth noting that, on a vehicle that costs more than a £14k MG or Dacia, the monthly costs are a lot, lot higher. On the leasing side of things, we picked the Volkswagen T-Roc. While lease rates start at less than £200 per month, we opted for one that includes a one-month initial payment to make it a similar proposition in terms of upfront cost. 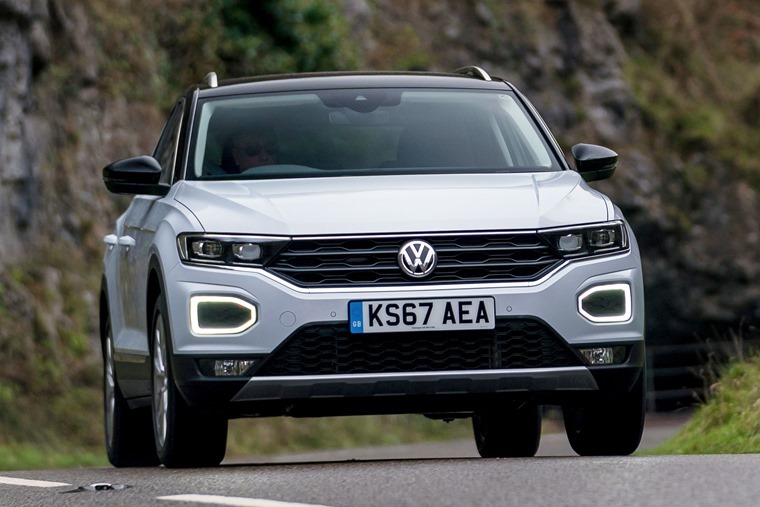 For less than £250 per month, several lease deals advertised by our partner brokers are available, including the one you see below – a four-year deal for a 1.0-litre T-Roc SE with an annual allowance of 10,000 miles for £243 per month. While the monthly payment is slightly higher than the ZS, the agreement is a year less and also includes Vehicle Excise Duty (VED) for the entirety of the agreement. On the face of it then, these two deals offer very similar costing. 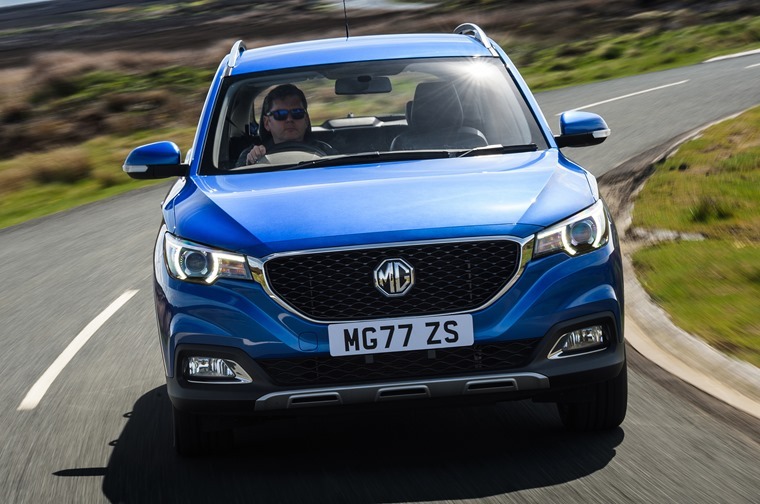 The MG scores well when it comes to value, mainly thanks to the Excite model’s long list of standard equipment. It comes with an 8in infotainment system that’s smartphone-friendly, rear parking sensors, air conditioning, cruise control, hill-hold assist, automatic headlights and a set of 17in alloy wheels. The Excite comes with the 1.5-litre four-cylinder petrol engine that produces 105bhp – incidentally a little less than the newer, cleaner three-cylinder 1.0-litre turbo that’s also on offer. Inside, the materials look like they’re on par with European rivals at first, but dig a little deeper and you’ll find that isn’t the case; hard, uninspiring black plastic abound below the driver’s eye line. However, it’s worth keeping in mind this is a car built to a budget – a fact that becomes apparent when you take a look at the ZS’s rather poor three-star Euro NCAP rating (the T-Roc scored the full five). And the T-Roc? Well, the Excite is the mid-range ZS, but the VW’s SE badge puts it firmly among the lower trims. But don’t fret. 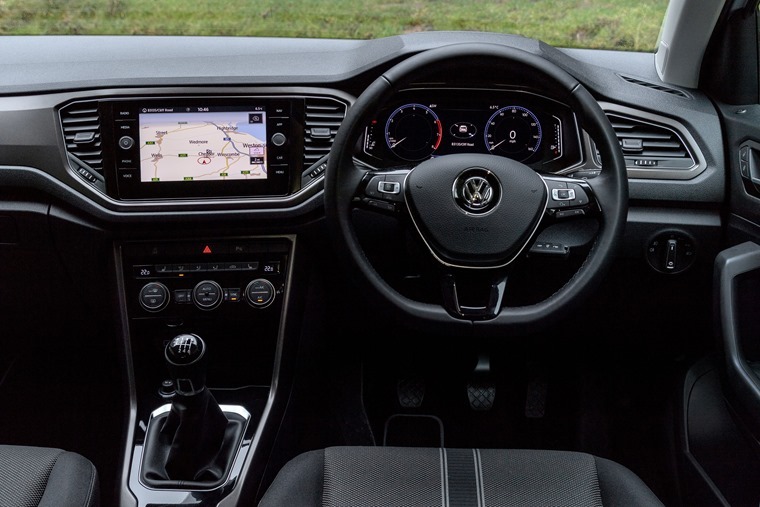 Standard kit includes an 8in touchscreen with Bluetooth and smartphone connectivity, 17in alloy wheels, dual-zone air con and an adaptive cruise control system. Unlike the MG, however, it feels like a thoroughly quality product; little surprise considering it’s based on the latest Polo platform. From the solid clunk of the door to the oak-effect dash inserts, it’s a cut above the more cheaply made ZS. The 1.5-litre engine in the ZS might be larger, but it doesn’t really translate into more usable power on the road when up against the 999cc unit you’ll find in the T-Roc SE. 0-62mph takes 10.9 and 10.1 seconds respectively. But while neither are built for speed, what about the comfort? Well there’s more passenger room in the ZS than its main rivals including the T-Roc, but there’s quite a lot of road noise at higher speeds, and it’s a long way off the class-leaders if ride quality is a top priority. Other differences become apparent on the road too, such as the fact the ZS is only available with a five-speed gearbox, while the T-Roc’s six-speed makes motorway driving easier and improves economy. Meanwhile, the T-Roc’s ride is one of the best, and its solid feel and quiet cabin are a marked improvement over the ZS. 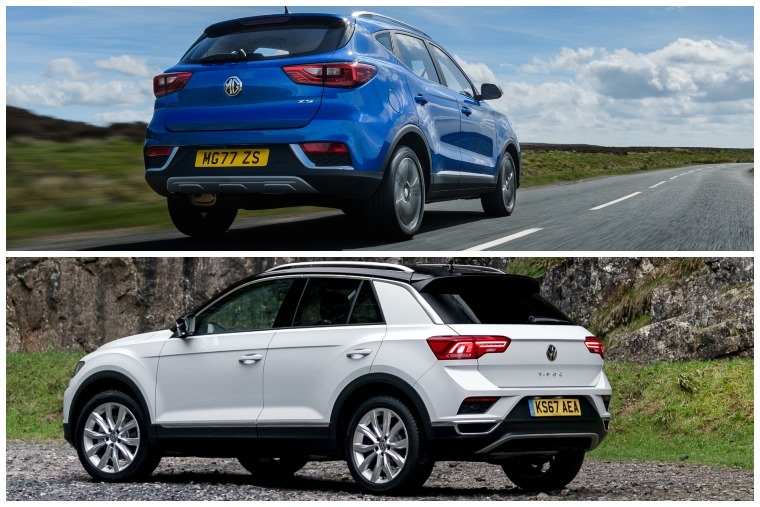 In terms of boot space, they’re almost identical, but the MG comes out on top (just) thanks to an extra three litres of capacity (448) over the T-Roc’s 445. The ZS gets an official combined economy figure of 49.6mpg, compared to the VW’s 55.4mpg. You can expect both to manage over 40mpg in the real world, although the stats suggest you’ll spend more money on fuel with the MG.
We’re depreciation nerds here at ContractHireAndLeasing.com. Why? Because it’s so crucial when it comes to new cars and finance offers. Every car depreciates and, even though VWs traditionally hold their value well thanks to their quality image and industry-leading technology, you’re still likely to lose up to 40% of the car’s value in the first three years alone. The larger Tiguan SUV can lose as much as 37%. However, because you simply hand the car back at the end of your agreement, however, you needn’t worry about its residual value. On the other hand, we appreciate some people might want to keep their car for a longer period, and are not too fussed with having the latest in-car technology. 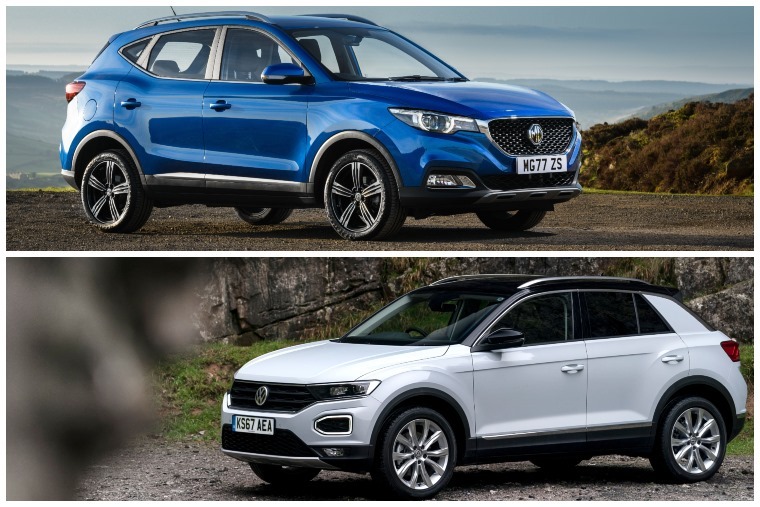 While estimated residual stats for the ZS and T-Roc are to be confirmed, the MG brand doesn’t hold anyway near as much sway on the second-hand market, with various sources suggesting they lose between 50% to 75% of value in the first three years. The MG 6 saloon, for example, after three years is likely to retain just 25% of its original list price. If the ZS happens to go the same way, after three years the model in question here could be worth as little as £3,498.75 – that’s a huge loss of around £10,000, or £291.50 per month. If you’re keeping the car longer than the five-year agreement though, this shouldn’t necessarily be a worry for you. On a HP deal, there’s no allowance built into the contract, but of course, the more your drive it, the less the asset will be worth. You whack 150k miles on the clock over five years, and it won’t be worth much when you finally do own it. On PCP and PCH deals, there is a cap. Going over it incurs a charge, which is usually a few pence per mile. It’s not some horrible, revenue generating punishment as some people may claim, it’s just to cover the excess miles. 1,000 excess miles at 6 pence per mile works out at £60, for example. In the deal above, it’s 8k a year over four years, which equates to a total of 32,000 miles. If you do exceptionally high mileage and don’t want to be restricted, then HP is more suited. Buy or lease: which one’s for you? It really depends what you want. The MG is a small family car that’s practical and comes with a lot of the basic kit you’ll need, but interior quality lets it down. From a vanity perspective, it’s not going to make your neighbours that jealous either. In the financial stakes, if you want to own your car outright after your agreement ends, of course a HP deal is a way to go, particularly for the MG as the cost is quite low. This shouldn’t worry you if you don’t mind the depreciation and plan on keeping the car a long time, but it’s worth bearing in mind that by the time your agreement ends the car will already be five years old and only be worth a few thousand pounds. Us? We’d go for leasing the T-Roc. Not only do you not have to concern yourself with a depreciating asset, it pretty much outmatches the ZS in every way. It’s safer, got a more modern engine, a better-built cabin and will be a nicer car to live with day-to-day. So we don’t appear too biased though, we’ve put together a table below that lays out the key differences between the two cars in terms of costs. Which one you go for is up to you. “You pays your money and you takes your choice,” as the saying goes. MOT and Servicing Not included, responsible for car’s first MOT after three years. Not included, responsible for car’s first MOT after three years.